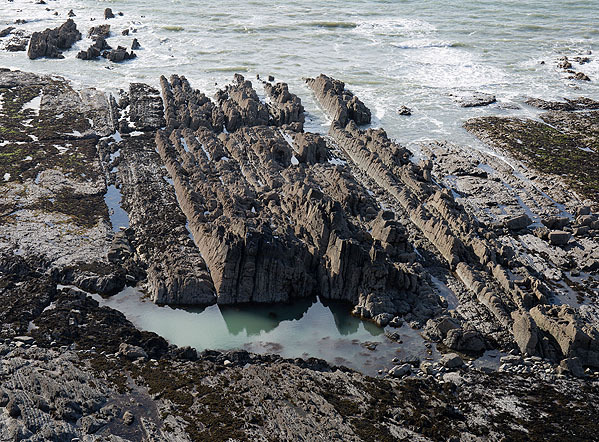 A wave cut platform of near vertical bands of sandstone and mudstone with a small pool known as Mermaid’s Pool. The viewpoint is behind a fenced off area adjacent to the old Bideford to Westward Ho! railway line (dismantled in 1917 ) . The coast path follows the rail trackbed as far as Cornborough Cliff where it turns inland.